Hangzhou, China—The Detu Twin dual-lens, 360°-capable camera that previewed at CES 2017 is now available for purchase. The camera initially launched on Amazon and Detu’s online store. 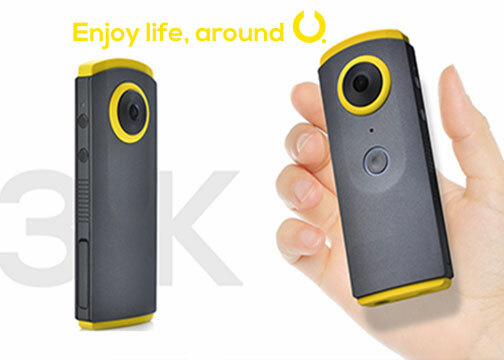 The high-definition, slimline 360°-capable cam captures 3K videos and photos. Its captured content can be uploaded straight to Facebook, Twitter and YouTube, with live streaming said to be a simple setup for Facebook and YouTube. The ultra lightweight black camera with yellow trim is smaller than an average smartphone, weighing 3.5 ounces. Detu Twin shoots 360ºx360º in horizontal and vertical views. 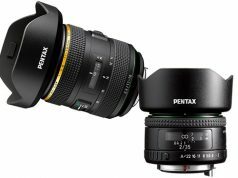 Configured with two back-to-back optical f/2.0 fisheye lenses, the camera produces 360° videos at a resolution of 3,040×1,520 pixels at 30 frames per second in the MP4 format. 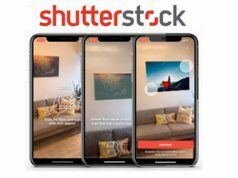 The companion Detu 360 camera app, available for both iOS and Android platforms, stitches all footage from each individual source, automatically and in real time. Users can choose between the four different shooting modes and get creative with content. They include fisheye, tiny planet (as if looking from outer space), VR (virtual reality) as well as 2:1 source mode for a unique 360° VR style. In addition, consumers can use VR glasses or goggles to preview and reproduce footage through the Detu camera app. Moreover, they can connect the camera to a PC and DetuPlay—a panorama player app that shows all footage at the drag of a mouse and stitches panoramic photos and videos captured by the Twin. In addition to 360º video, the camera captures 8 megapixel JPEG photos with one click. Detu also provides storage for captured content. The Wi-Fi equipped camera is USB 2.0 compatible and includes a micro HDMI output. The camera also supports microSD cards up to 64 gigabytes. Furthermore, its 1,200mAh battery works for 1.5 hours. “We wanted to create something for everyone. The Detu Twin is super stylish, easy to operate and syncs with both iOS and Android smartphones,” commented Qirui Sun, Detu’s CTO.